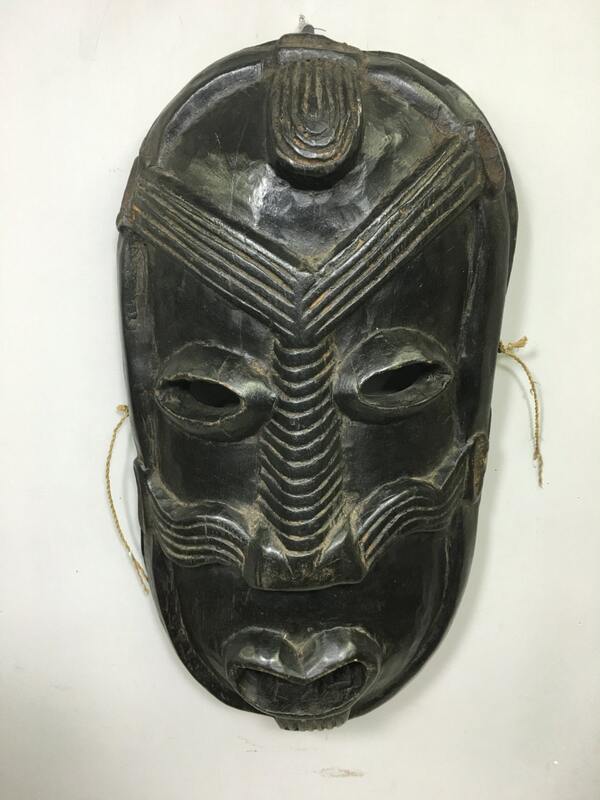 Papua New Guinea Mask Ramu River Secret Cult Black Wood Men Mask 19"
This is a rare Black Carved Wood Mask from the tribal peoples of the Ramu and Guam River in Lower Sepik region of Papua New Guinea. This unique mask has large eyes, distinctive incised clan markings that goes across the forehead and cheeks and down the nose. The nose has the bulbous bottom to it and the mouth is large. 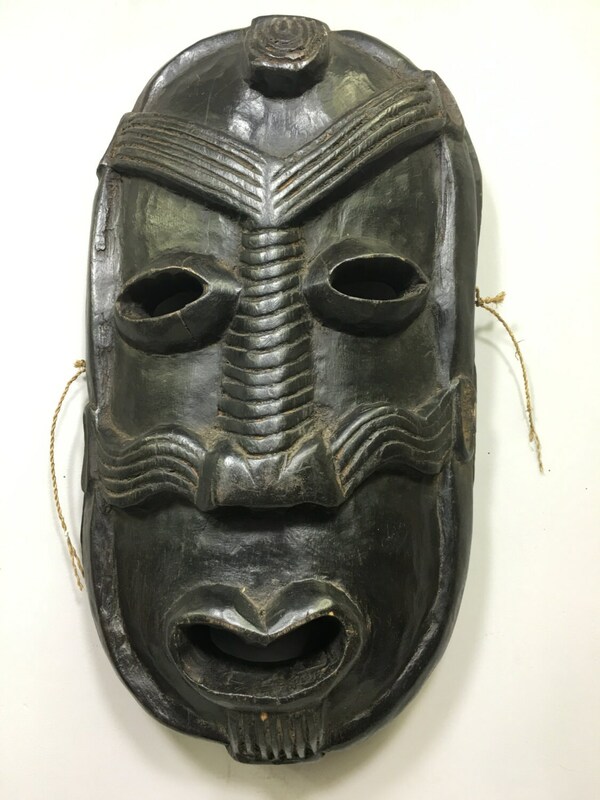 These types of masks could have set on the front of canoe or used in a ceremonial dance. 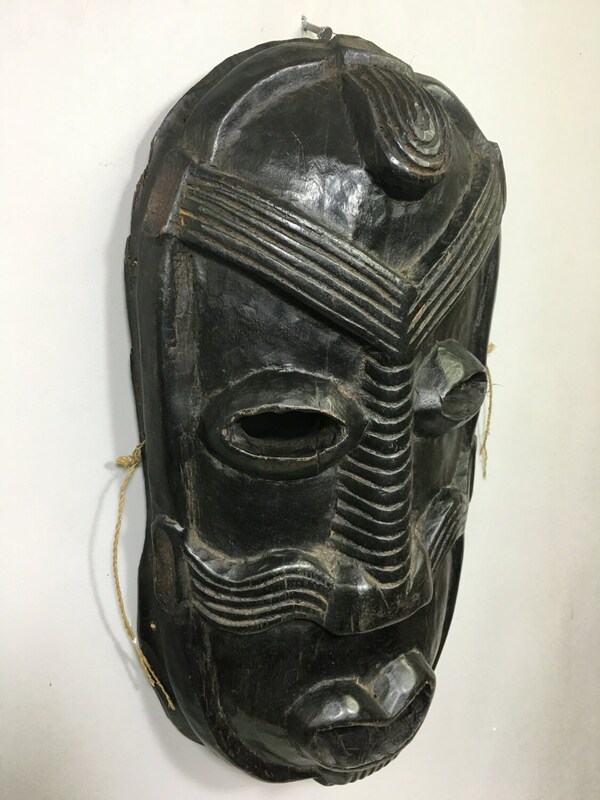 Most of these mask are made for initiation men during ritual performances, and ancestral spirits responsible for the success of the harvest, hunting, fishing and even warfare. Woman and children are not allowed to witness the creation of the masks. 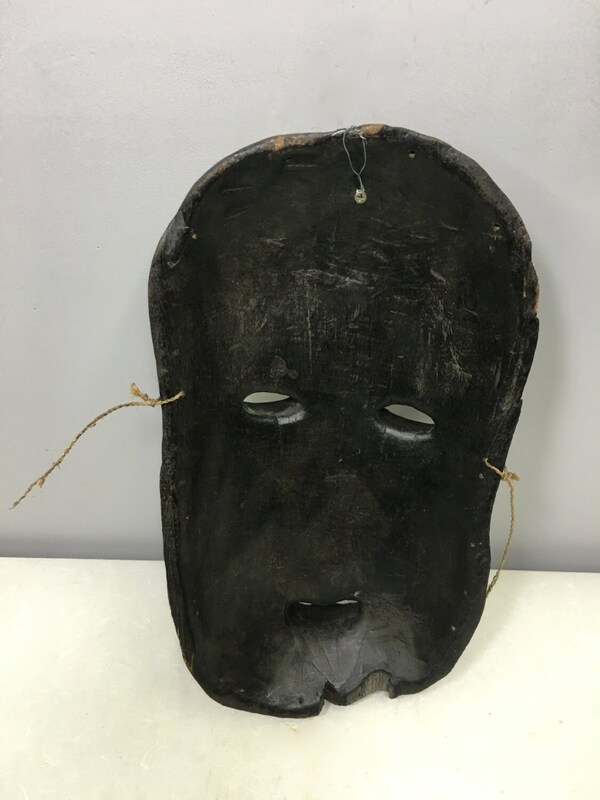 The men are only allowed to wear the masks and they must be initiated into the cult that produces these masks. When worn the initiate becomes the spirit the mask represents. 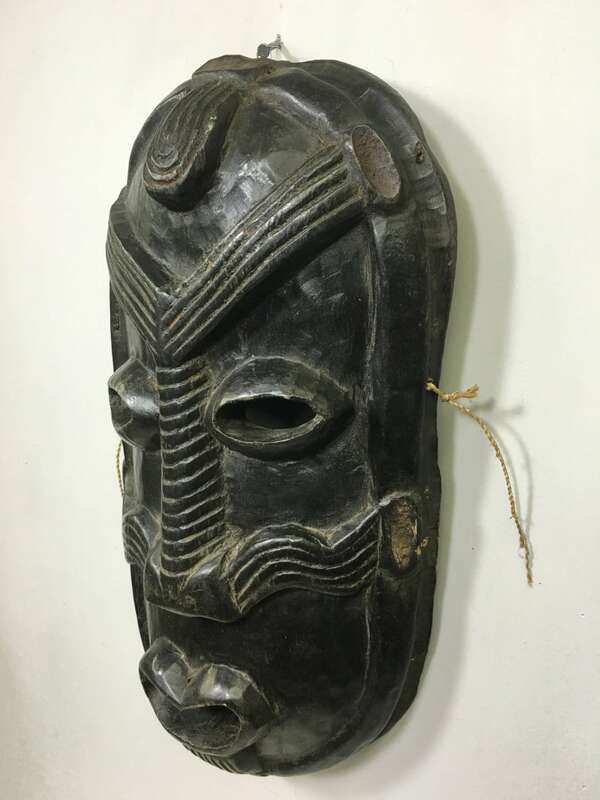 This is an old and unique mask that would be a wonderful addition to your home and collection. Shows age and has a chip on the bottom back. BACARA WE STAND BEHIND ALL OF OUR MERCHANDISE. WE CAN PROVIDE REFERENCES FOR ALL ARTIFACTS THAT WE SELL, AS WELL AS DOCUMENTATION TOWARD THEIR AUTHENTICITY. FULL MONEY BACK GUARANTEE WILL BE PROVIDED FOR DISSATISFIED CUSTOMERS. YOUR SATISFACTION IS OUR MAIN GOAL, AND WE THANK YOU FOR SHOPPING AT BACARA.